Charles Stewart, better known as Chali 2na, is an American rapper and hip hop artist, associated with the groups Jurassic 5 and Ozomatli. He is known for his baritone and quick delivery rapping style. He is also an actor, painter, and all around Renaissance Man. He will be preforming with local Humboldt funk fusion legends Object Heavy, as he did for Humboldt Green’s After Party at the Emerald Cup, as seen below. Bearing an identifiably deep baritone voice, Chali 2na (born Charles Stewart, Jr.) became the unofficial point man for West Coast underground favorite Jurassic 5. Originally from southside Chicago, Stewart first gained an interest in graffiti writing before getting into music. Both activities were his way of steering clear of drugs and gang life, and also influenced his decision to move to Los Angeles with his grandmother in his mid-teens. The developing MC quickly associated himself with rap collective the Unity Committee, which also included turntablist the Cut Chemist and rhyme sayer Marc 7even. The group used to frequent the open mike sessions at the famed Good Life Café venue. There the three met Akil, Zaakir, and DJ Nu-Mark of an opposing crew, and later all six formed Jurassic 5 in 1993. Before Jurassic 5 fully took off, Chali 2na and Cut Chemist also helped found the band Ozomatli, whose music was a fusion of worldbeat, rock, hip-hop, and Latin dance/funk. As part of two critically acclaimed ensembles, Chali 2na sent waves in the music world with each of their debuts; Jurassic 5‘s major-label debut, Quality Control (2000), has been deemed a benchmark for alternative West Coast hip-hop. 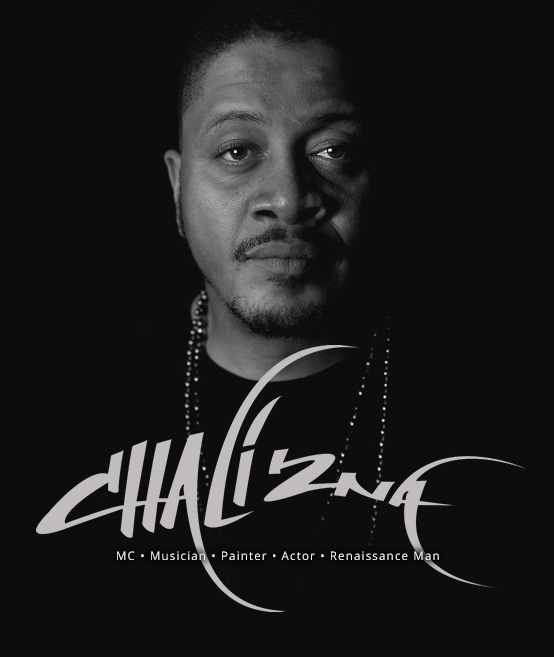 Chali emerged as J5‘s most popular member and was frequently tapped for guest appearances on many other artists’ material over the years, like that of Swollen Members, Linkin Park, Blackalicious, Kardinal Offishal, and Roots Manuva. His solo foray began in 2004 with his Fish Market mixtapes. The first mixtape, however, was initially supposed to precede his Interscope solo debut, but continuous delays, plus the dissolution of J5 in 2007, left his project up in the air. Fish Outta Water, his first official solo album, was finally issued two years later on the Defcon label. Around that time, he made appearances on tracks by J-Live, K’NAAN, and NASA.